How to get a NIE number in Spain. Obtaining a NIE in Tenerife. NIE is an abbreviation for Numero de identidad de extranjero, which translates as ‘Identification number for foreigners’. The main purpose of the NIE for Spain is fiscal control. Without a Spanish NIE number, the Spanish tax authorities are unable to assess or process annual tax payments such as income tax (IRPF), and the annual wealth tax (Patrimonio), both of which are paid by non-resident property owners. Not paying these taxes (or making provisions with the Spanish tax authorities to pay these taxes in your country of residence under a double-taxation treaty) can incur heavy fines. Who needs a NIE in Spain? 1. Any foreigner who becomes resident for tax purposes in Spain needs an NIE number in Spain. 2. Any non-resident foreigner who buys property in Spain. If a couple buys a property in Spain together, and they register the property in both their names, then both of them must obtain an NIE number in Spain. When do you need to have a NIE number? 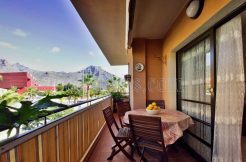 If you are buying property in Spain, then you need to have an NIE number Spain by the time you sign the deeds of purchase before notary, an event known in Spain as the escritura. Getting your NIE number in time for escritura means applying at least 1 month before hand if you are applying in Spain, and at least 2 months before hand if you are applying via a consulate abroad. The actual time it takes depends upon where you apply, and the time of the year. How do you apply for a NIE number? 1. Apply in person in Spain. 2. Apply in person via a Spanish Consulate abroad. Applying in person for an NIE number whilst in Spain is a relatively straightforward procedure. The only inconvenience is that you may have to wait for up to several hours in a queue in order to submit your application. It does depend upon the police station where you apply, and the time of day (early is better). With a bit of luck you will be in and out in half an hour or less. Your passport and a photocopy of the main page of your passport (the page that includes your photo, name, passport number, address, etc.). 2 recent passport size colour photographs with a plain coloured background. This is not required in the instructions issued by the government but it is always better to be on the safe side as some offices may insist. An original document (plus a photocopy) that justifies your reason for applying for an NIE number. If you are applying because you are buying a property in Spain then you will need to take along the official copy of the deeds of purchase given to you by the Notary (called a copia simple in Spanish). If you have not yet signed the deeds before Notary then you will need to take along the private contract of sale that you have signed with the vendor or developer. This documentation is not always necessary (depends upon the police station), but best have it with you just incase. If you are a non-EU national you will need to produce a document that demonstrates your legal entry into Spain. 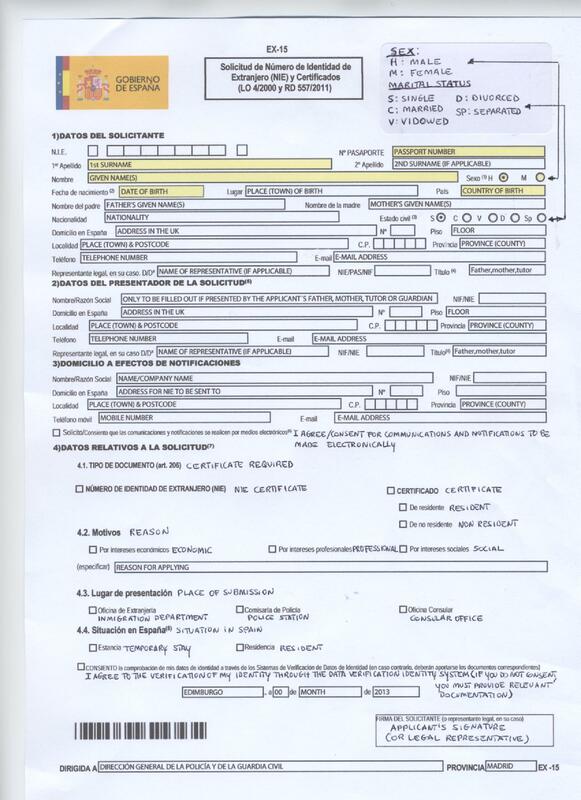 This is the document (for instance a landing card) that you fill in at the immigration desk at your point of entry into Spain. In Spanish this document is known as a declaracion de entrada. 2 copies of the appropriate application form filled out and signed . The Spanish name for the NIE form Spain is Solicitud de NIE. (Ex-15), and you can download this NIE application form by clicking on the link below. This will open up a new browser window and display the form in ‘pdf’ format. 2) Take all documentation in person to the appropriate place of submission. You have to go to one of the immigration offices (oficinas de extranjeros) that are usually found in designated police stations (comisaria de policia), preferably in the area where you are buying your property. If there is no immigration office in your area then it should be possible to make your application through a local police station. In any event the local police station will be able to tell you the best place to go to apply for an NIE in your area. NOTE: In some regions, for instance in Asturias, you may have to pay a small tax of a few Euros when you apply for an NIE. In this case you will be given a payment form when you submit your application. You have to show proof of payment (the stamped receipt from the bank) in order to collect your NIE. After you have submitted your NIE application you will be given an official receipt (resguardo). Unless you are told otherwise, you will be able to collect your NIE number from the office where you made your application anytime from 15 days later (in some areas, at some times of the year, it may take longer, which is why we recommend applying a month in advance). You do not have to collect your NIE in person – anyone can collect it for you if they have the official receipt you were given when you submitted your application. NOTE: The time it takes to get an NIE varies greatly by region. Whilst it is still common in most areas to wait 15 days or more before collecting an NIE, in some areas, for instance Oviedo, in Asturias, (North Spain), you can apply for, and collect, an NIE in one single visit, which might not take longer than half an hour. Generally speaking, it is also quicker to obtain an NIE from a local tax office than from one of the designated police stations. Applications via a tax office tend to take a few days, compared to a few weeks via police stations. Applying via a tax office does mean, however, that the Spanish tax office is aware of your situation as an owner of property in Spain. This makes it more likely that the tax office will pursue you for taxes related to owning property in Spain, such as the wealth tax (patrimonio), and income tax (IRPF), which all property owners in Spain have to pay, irrespective of fiscal residence. You can also apply for an NIE from Spanish consulates around the world if you do not have the time to apply whilst you are in Spain. 2 recent passport size photographs with a plain coloured background. 2 copies of the appropriate application form duly completed but NOT SIGNED as you will need to sign in the presence of a consular official. The Spanish consulate will not be able to provide you with this form so you must obtain it beforehand. The Spanish name for this application form is Solicitud de NIE. It appears that there is no longer any fee to pay (you used to have to pay a cheque of 22 to “The Spanish Consulate General”). You may wish to ring the consulate beforehand to check this, or just take your cheque book along to be on the safe side. You might also have to produce an original document (plus a photocopy) that justifies your reason for applying for an NIE number. If you are applying for an NIE number because you have bought a property in Spain, this means the official copy of the deeds of purchase given to you by the Notary (called a copia simple in Spanish). If you have not yet signed the deeds before Notary then the private contract of sale that you have signed with the vendor or developer. This documentation might not be necessary, but best have it with you just in case. If you don’t have it, then don’t worry too much, as both London and Manchester consulates say they don’t require it. 2) Take all documentation in person to your nearest Spanish Consulate. You have to go in person with all the relevant documentation to your nearest Spanish consulate. The Spanish Consulate cannot issue NIE numbers; it only acts as a “postal box” between the applicant and the competent authorities in Spain. Once you have submitted your application through the Consulate they will not be able to provide you with any further information on the status of your application. For any further information or enquires as to the status of your application you should write to the address given above for the Comisaria General de Extranjeria y Documentacion. If all goes well you should receive your number through the post within 4 – 6 weeks. IMPORTANT NOTE: If you want to have the NIE number sent to your address abroad, make sure you print this address very carefully on the application form, and also include a self-addressed envelope (no stamp). The website of the Spanish consulate in London says you have to use an address in Spain, but the consulate in Manchester says you can have your NIE sent to you in the UK. This is conflicting advice, and I cannot tell you for sure which version is correct. APRIL 2012 UPDATE: The Spanish government has done a u-turn allowing legal representatives with POAs / poderes to request NIE numbers in Spain on behalf of others. As of the 1st January 2004, any foreigner wishing to obtain an NIE number has to apply in person, unless they authorise before Notary a 3rd party to apply on their behalf. What does ‘before Notary’ mean? It means that you have to go before a Notary Public in Spain or another country (you can also go to the Spanish Consul General if outside of Spain), and authorise a 3rd party to apply for the NIE number on your behalf. 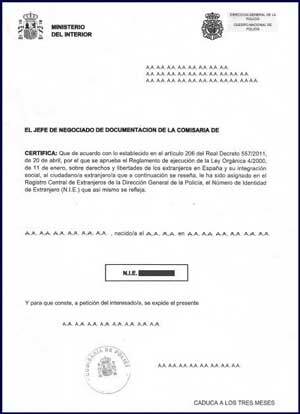 If you go to a notary outside of Spain this document will also need the Hague Apostille and an official translation. By this process you grant a notarised power of attorney that is recognised by the Spanish government, and that specifically enables a 3rd party to apply for the NIE number on your behalf. To apply on your behalf a 3rd party – normally your lawyer or a gestor – will need the same documentation as detailed above in the section on applying in person. Lawyers in Spain often charge between 150 and 250 Euros for obtaining an NIE number. Like everything related to Spanish property, costs vary wildly.